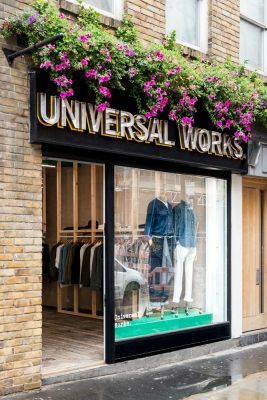 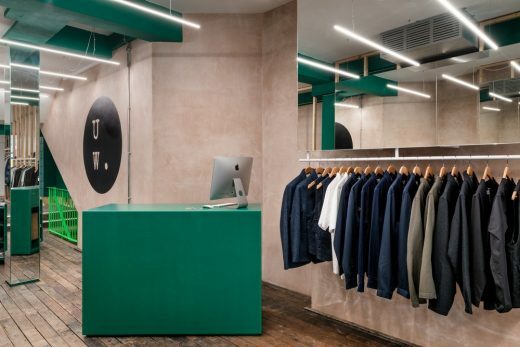 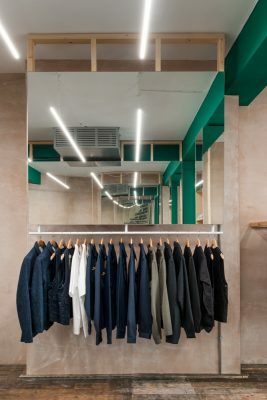 Universal Works new location at 26 Berwick Street by Studio MUTT is the store for the menswear brand in the heart of Soho, London. 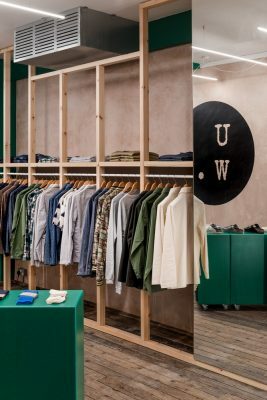 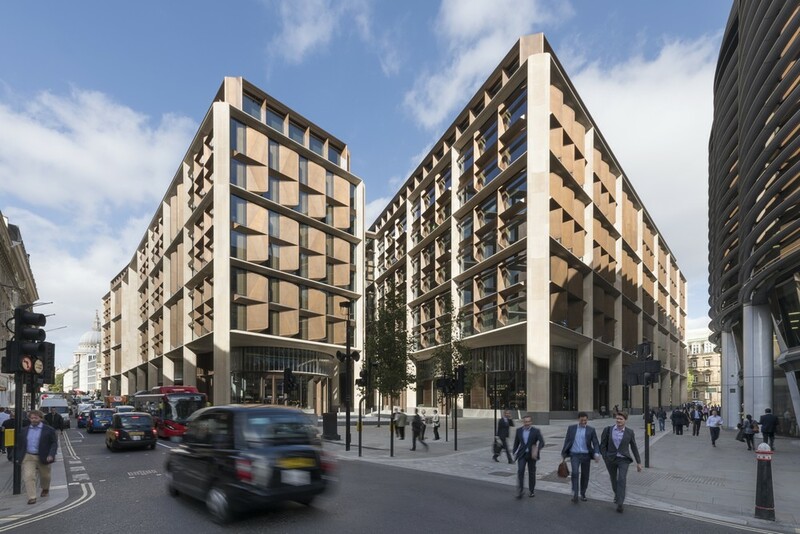 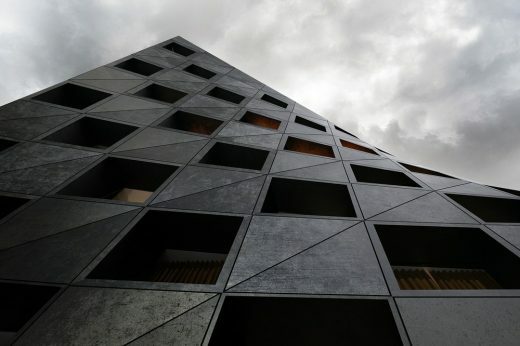 The project is the first to be completed by Studio MUTT following their appointment by Universal Works in late 2017 to act as architect and creative partner for the design of future stores. The brief was to determine how an approach to clothing can translate into an approach to architecture. 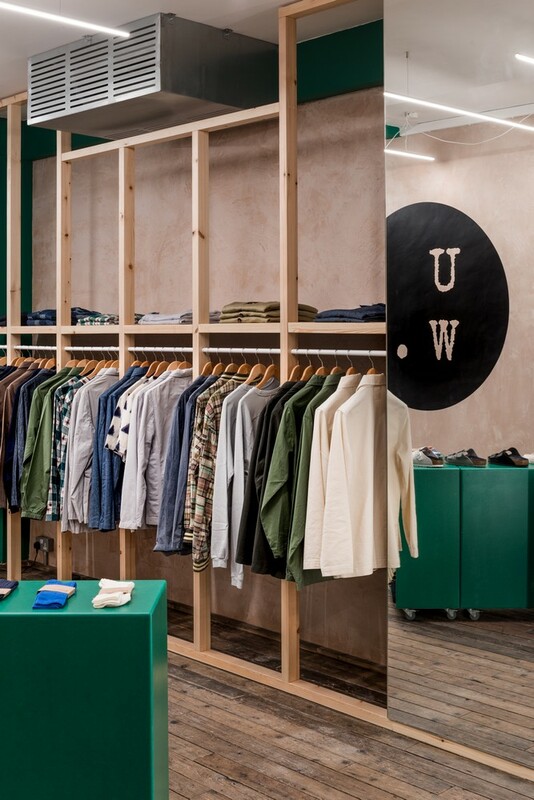 Through working closely with co-founders David Keyte and Stephanie Porritt, and the wider Universal Works family, Studio MUTT developed a functional and vibrant style that responds to the layout out the building and could be tailored to subsequent sites. 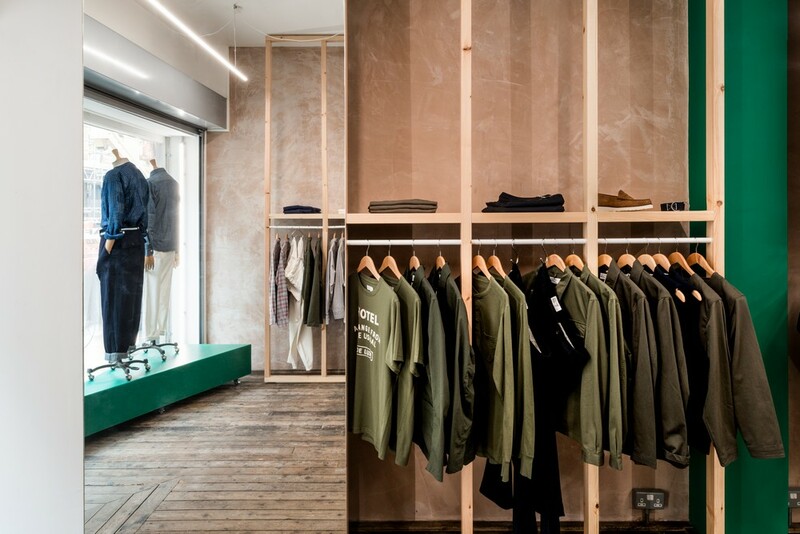 26 Berwick Street uses a controlled palette of everyday materials, used in an extraordinary way, to create a characterful and unique store. 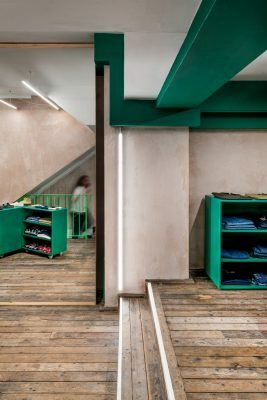 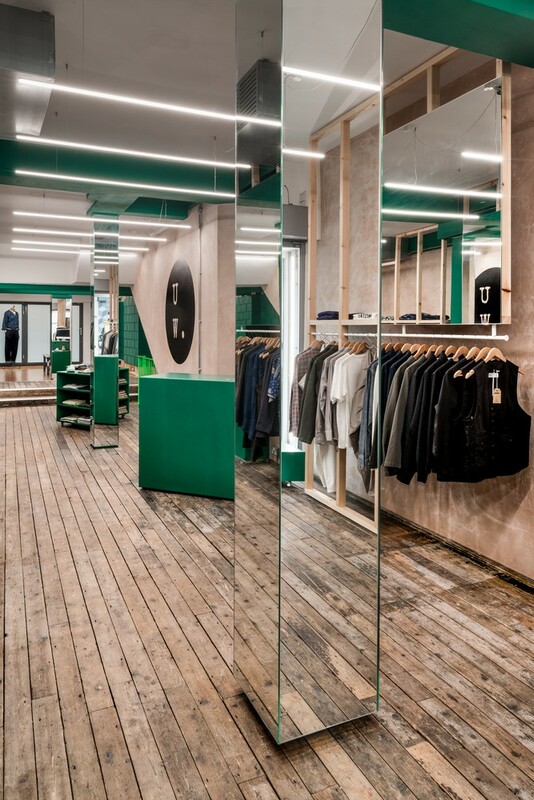 The existing concrete structure, long since concealed and covered by previous tenants, has been brought back to life in a vibrant green, reminiscent of the mills and factories which have been such an influence on Universal Works collections. 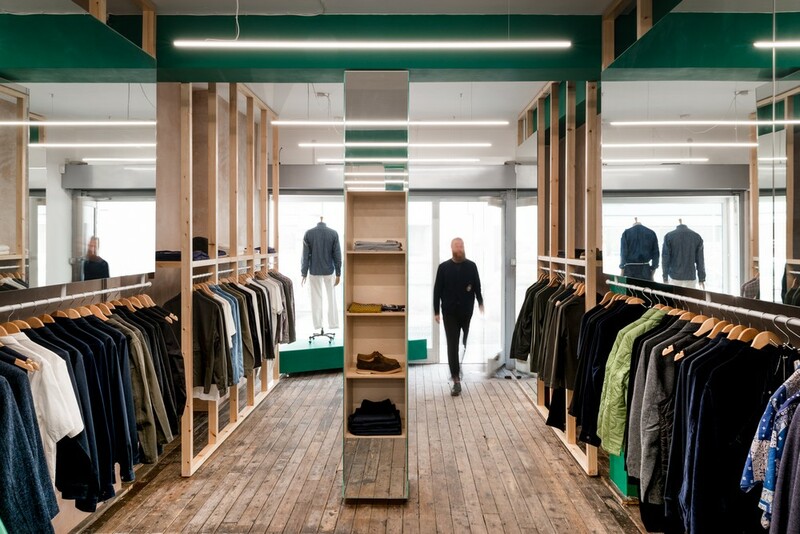 In doing so, the space becomes split into a series of bays, breaking down the linear unit into a sequence of smaller rooms for a more curated display of clothing. Large expanses of mirror have been used, mounted to bespoke timber framework, to create illusions of volume and new sightlines through the space. 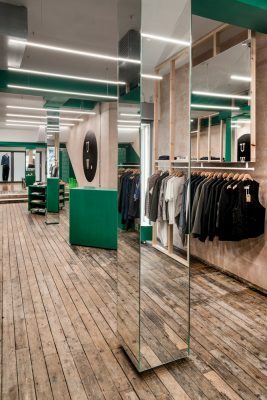 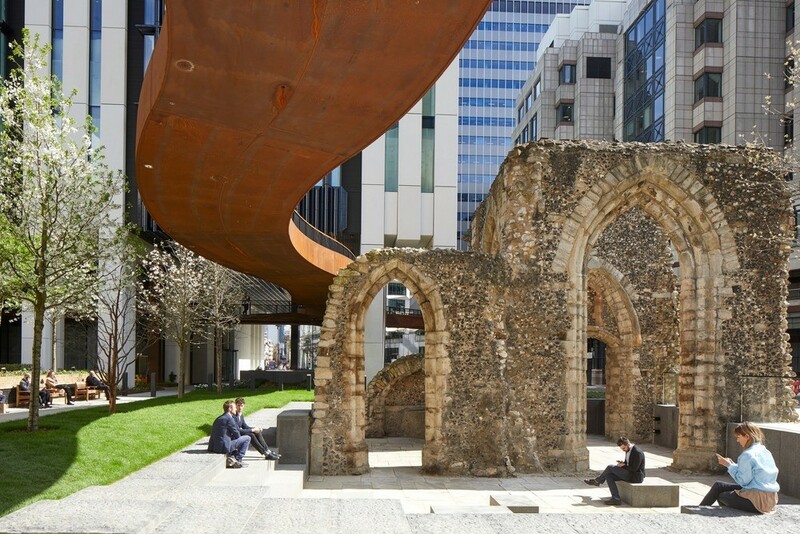 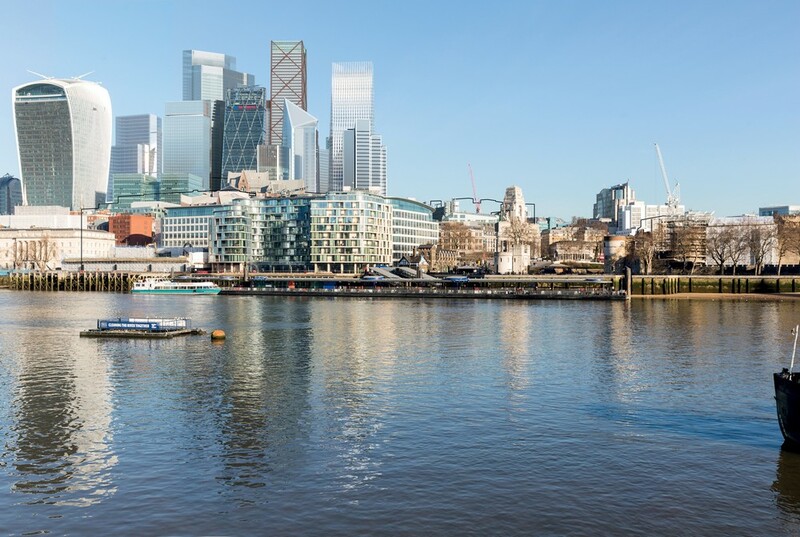 Undesirable existing columns have been hidden through being clad in mirrored panels, which also conceal in-built shelving to provide further storage and control movement through the space. 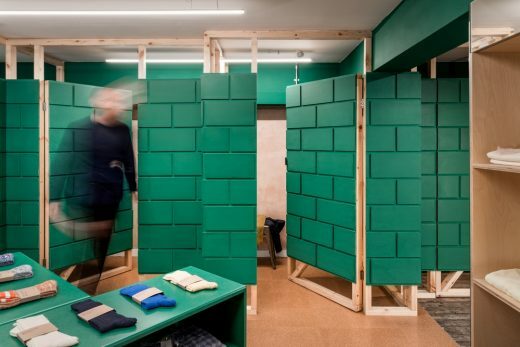 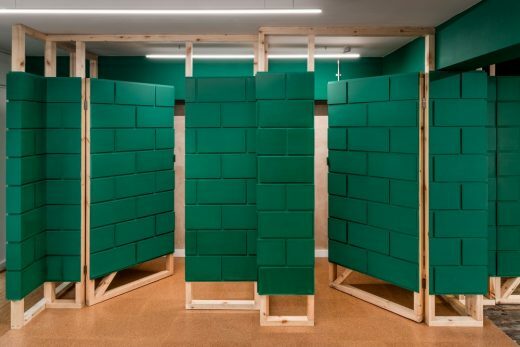 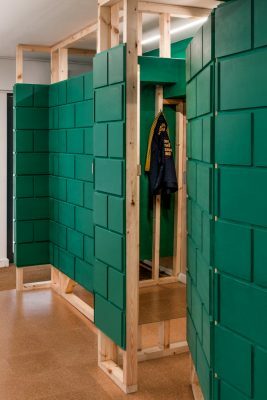 An original blockwork wall, hidden behind textured plasterwork, has been resurrected in green machined Valchromat as the changing room walls and doors.